Following the absence of the January issue, a belated happy new year to you all. 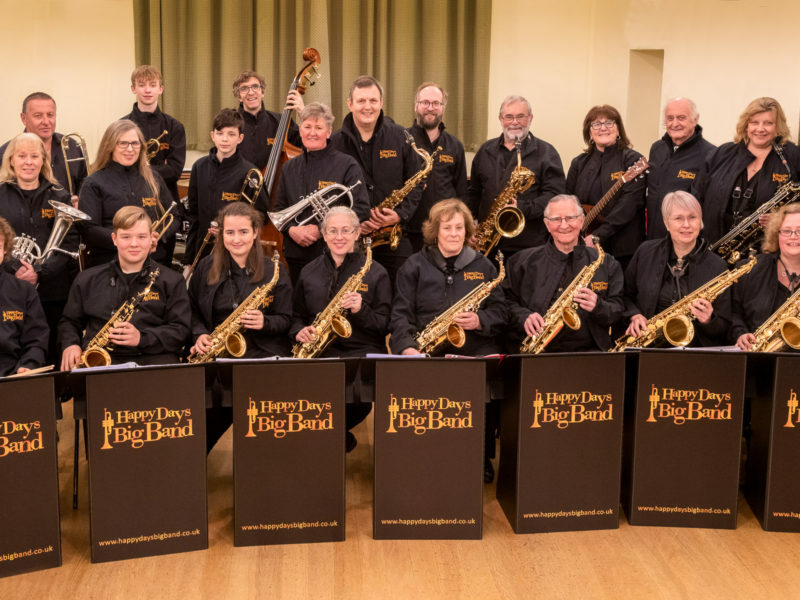 In case you haven’t noticed, the updated list of active Sussex big bands, usually published in January, is posted on the SJM website and the Big Bands of Brighton Facebook page. Another item which was to have been included is this appreciation of big band stalwart Dave Adkin who died last November, at the age of 80. For the last eight years, he and I occupied adjacent chairs in the Brighton Big Band, formerly the Dave Masters Big Band. Thus I was able to experience at close quarters his superb musicianship on alto sax and clarinet. As well as his legendary ability to spin out an anecdote across the duration of a gig. Soon after leaving school, he joined the army as a boy soldier. His musical aptitude was spotted and he was posted to the Royal Military School of Music at Kneller Hall. After which, he served in the Middlesex Regiment. He met Jane at a dance in 1958 and they married two years later by which time he had left the army and started his career in motor finance. After a few moves they settled in coastal Sussex. Dave was primarily a big band musician. As well as playing with the Dave Masters Big Band from its early days, other bands he played with included the Royal British Legion Band, The Big Fat Band, Les Paul Big Band, Big Band Sounds, which he led for some years, and Downsbeat. Although the sound quality isn’t brilliant, you can hear an example of his sensitive alto playing with the latter band recorded on a gig at Storrington, by following this link to https://www.youtube.com/watch?v=Iq1Sbs-TnyQ. Various bandleaders that he worked with have commented on his dedication, not only to playing the music, but also the generosity of spirit he showed by arriving early and helping set up beforehand, then being among the last to leave after helping pack up at the end of a gig. Often transporting PA, stands, and other equipment around in his car. In the last year, even when his health was beginning to fail, he repainted and repaired all the music stands for the Brighton Big Band and happily donated musical scores and storage bags for band use. His clarinet playing was put to good use in the Glenn Miller and other charts from the classic big band era. And also for the light classical music that he enjoyed playing with the Brighton & Hove Concert Orchestra of which he was a loyal & well liked member. He was also a keen bowls player, becoming the captain and ultimately the president of the Rottingdean Bowling Club. Many thanks to Steve Field, John Lake, Graham Mussard, Steve Paul and Ken Turner (and others) for sharing their memories of Dave. He is survived by Jane, their children, Paul, Sarah and Steve, seven grandchildren and one great grandchild. (David Adkin, born 2nd December 1937; died 16th November 2016). And now as part of this column’s service to Sussex big bands and musicians, a couple of notices. 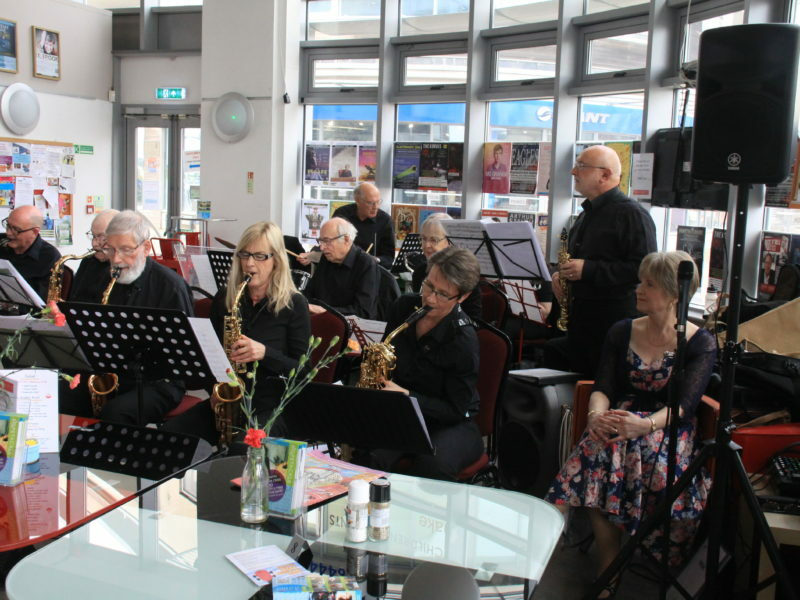 7:30 – 10:00 pm, Big Band @Brunswick: Brighton Jazz Mafia at The Brunswick, 3, Holland Road, Hove BN3 1JF (01273 733984). Free entry with collection. [R] 8:00 – 10:30 pm, The Rox Sessions Live at ‘The Hoff’. Bognor Regis Big Band open rehearsal at the Hothampton Arms, London Road, Bognor Regis, West Sussex, PO21 1PR, (01243 821434). Free entry with collection for the Rox music charity. 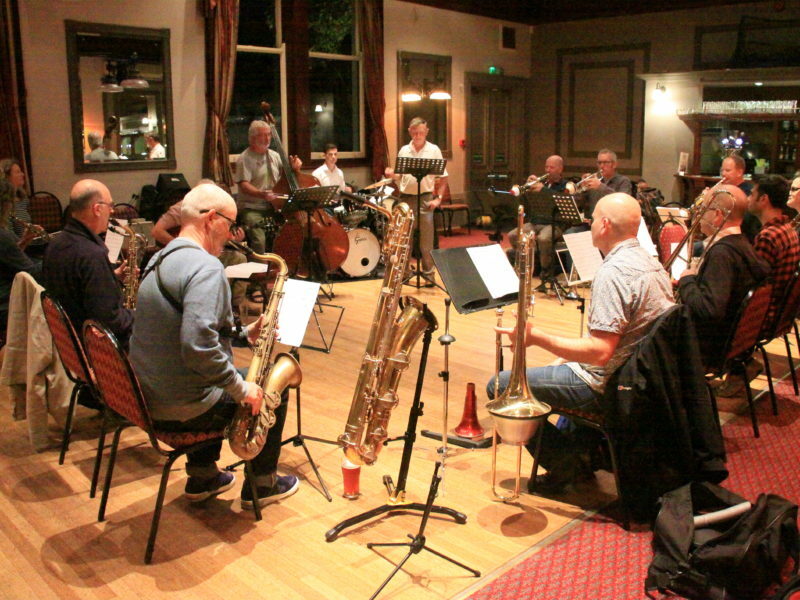 7:00 – 9:00 pm, The Sussex Jazz Orchestra with Mark Bassey at The Round Georges, 14-15 Sutherland Road, Brighton BN2 0EQ, (01273 691833). Free entry with collection. 7:30 – 10:00 pm, Big Band @Brunswick: The Chris Coull Big Band at The Brunswick, 3, Holland Road, Hove BN3 1JF (01273 733984). Free entry with collection.